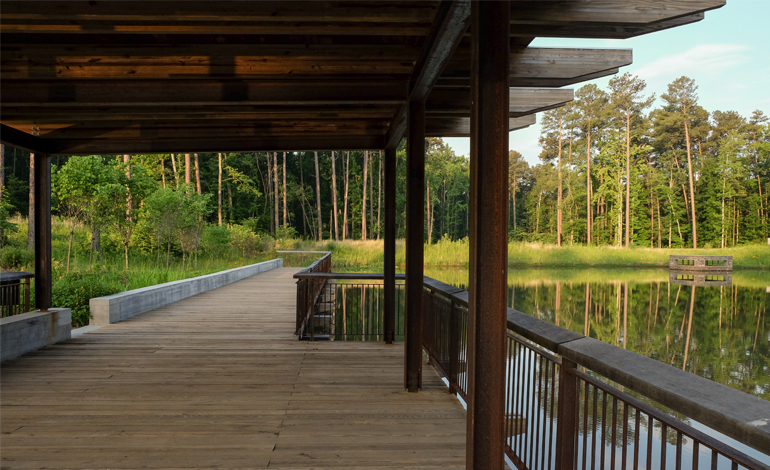 McAdams was retained by Duke University to design a water reclamation pond to provide water for Chiller Plant #2 on Duke’s campus. 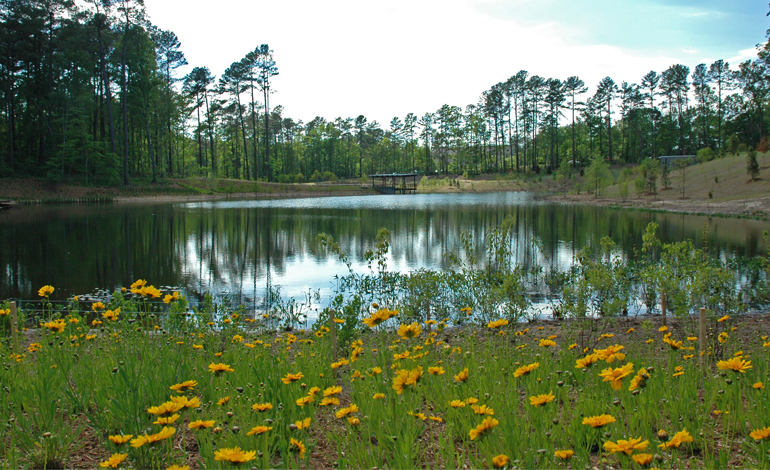 The pond, which was completed in May 2015, will provide over 100 million gallons of water per year for use at the plant, which is the largest single user of potable water in the City of Durham. The pond is impounded by a Class C (high hazard) dam, permitted through the State of North Carolina’s Dam Safety Program. McAdams navigated the permitting process with various entities (including NC DWQ, US Army Corps of Engineers, City and County of Durham and NC DWR) to bring the project to reality. McAdams design also included restoration of approximately 3,400 linear feet as mitigation for stream impacts due to the construction of the pond on a jurisdictional stream. Construction of the restored stream segment has been completed, tying into the University’s extensive SWAMP system of restored stream sections. Since completion of the project, the facility has been providing a significant volume of harvested stormwater to Duke’s Chiller Plant #2, reduced the amount of potable water used from the City of Durham’s system, provided stormwater pollutant runoff reduction, provided stormwater detention benefit and is serving as a campus-wide amenity for the University.